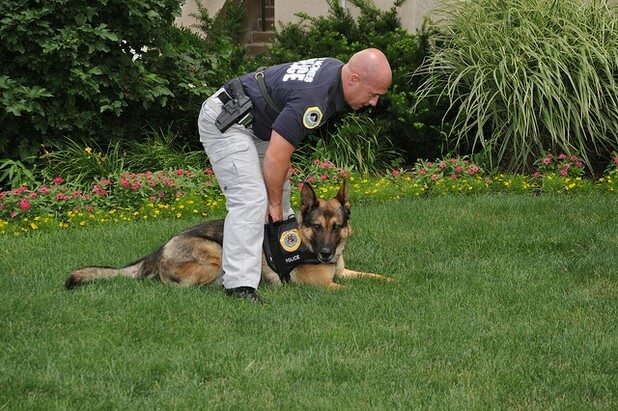 New Drug Abuse Prevention Tool for Parents - K9 Drug Sniffing Dogs for Rent! Worried your kids are using drugs? Well if you’re willing to hire the K9 dogs from Baltimore’s DogsFindingDrugs, you’ll know for sure if even the smallest traces of marijuana, cocaine, prescription narcotics, opiates or amphetamines reside within your home. A non profit organization, the Baltimore team under the direction of owner Anne Wills began three years ago as a pet finding service, which used trained dogs to help worried owners track down wandering family pets. Now, for $200 an hour, you can contact the same team of dogs and handlers to come to your house and do a search that was previously only within the capabilities of law enforcement K9 units. The dogs will also find explosives or guns. Michael Gimbel, who served as the Baltimore County drug czar, thinks that Wills’ idea is a good one and he’s helping to spread the word to schools and parents in the community who might need the service. He says, "Bottom line is, parents need to use every resource available to protect their kids from drugs and their home. This is just another new and creative way to attack the problem." Not everyone agrees however, that bringing in the dogs is the best way to support the long term trust and support between parents and teen children that are essential to prevention efforts. Elizabeth Robertson, NIDA’s chief of prevention research commented on the idea, saying, "Given everything we know about substance abuse prevention, what you want to do with your kids is build trust and communication. This seems like a tactic that would disrupt trust." She’s also not sure how effective it would be, adding, "If you are a kid who was hiding drugs in the house and somebody brought a drug in the house, what would you do? I'd hide it in the yard. Or hide it in someone else's house…It doesn't seem that practical."